The Catalinbread Karma Suture line was inspired by the rare Harmonic Percolator™. 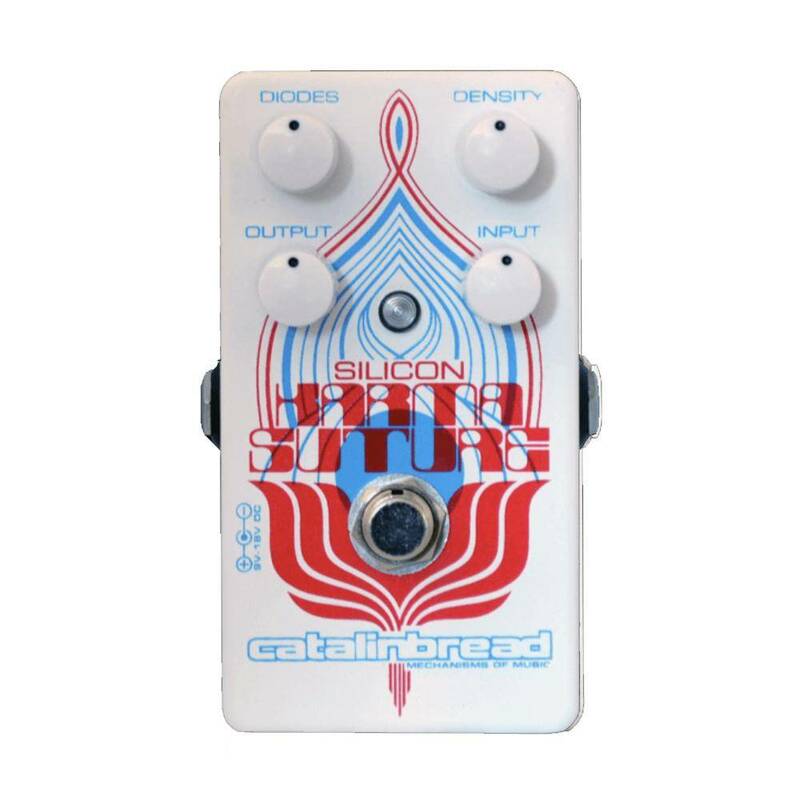 Not just a clone, they have expanded the potential by adding the exclusive Density and Diodes controls coupled with months of fine-tuning to get everything just right. You’ll find great sounds through the rotation of all the controls. No matter how you have the pedal set, the tone and response is always alive, sensitive to your every playing nuance.